If you would prefer to hand in your competition entry in person rather than email you can – at the Market on 10th March – by handing to the Owl and the Coconut team before 2pm or to the Market staff (the ones in the delightful tabards) before 5pm. Sooooooooooooo…now the Beast from the East has beasted off and we’re back on schedule, so is our five year anniversary competition – and that means that this Saturday from 10am – 2pm, free of charge, we’re hosting our rescheduled creative workshop for children and adults to help generate ideas and put them down on paper. 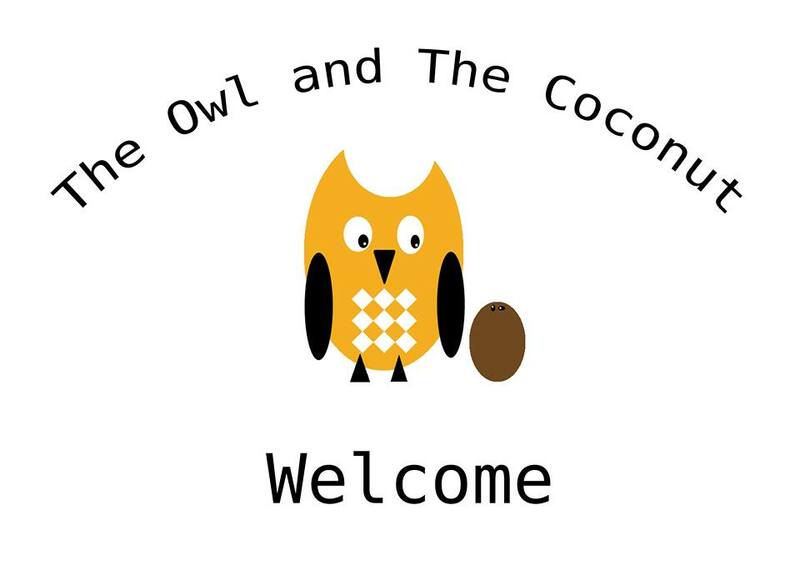 The session will be hosted by Leevenshulme’s own The Owl and the Coconut, shortly to launch the world’s first ever Mindful Art Centre right here in Levenshulme at the multi-purpose arts and culture space Levenshulme Old Library. Join us at Levenshulme Market to Stop. Notice. Create. Join us for mindful meditation and art making to to connect to the present moment and have a play with some arty stuff. 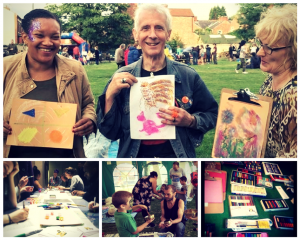 On Saturday we will be at the Market to help you to tune into your inner artist and have a play with loads of art materials from crayons to water colours. Stop: Slow down, take a breather. Join us for a mindful mediation as we tune into the sounds, smells and sights of the market and connect to the tastes and feel of the things around us. Notice: How your body feels in the present moment. Tuning into the contact of the feet on the floor and the body in the chair. Notice the art materials on offer. Have a play with them, notice how they look and feel and the marks they make. Create: Harness the power of the present moment and draw inspiration for your design of the Levy Market 5 year anniversary logo. If this is up your street then come check out what else The Owl and the Coconut have on offer as they open the doors to the worlds first ever Mindful Art Centre right here in Levenshulme! Come to the launch night 27th April 4-9pm The Nest, Levenshulme Old Library. And check their website www.theowlandthecoconut.com for details of all the Mindful Art greatness that begins when our doors open in May, including 8 week Mindfulness courses and drop in sessions.